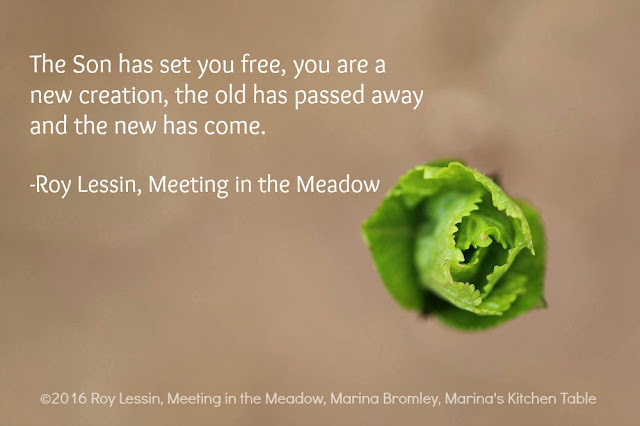 Marina's Kitchen Table: Meeting in the Meadow: Will the "Real You" Please Stand Up! 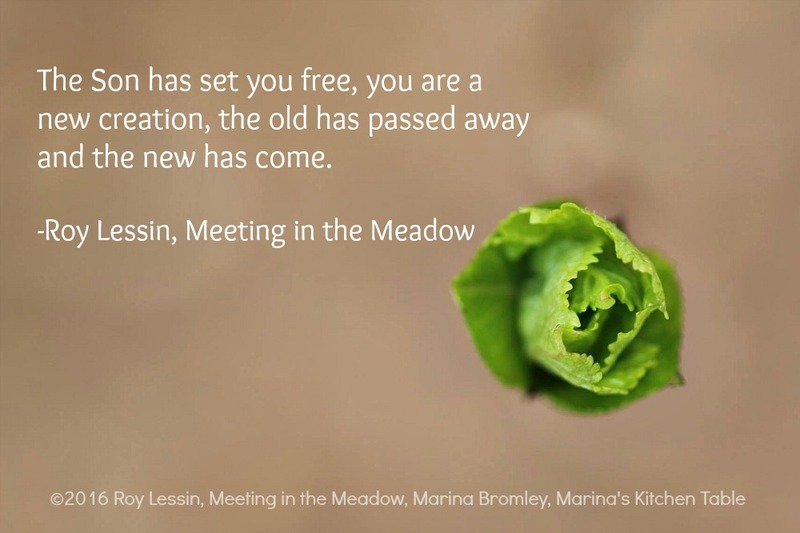 Meeting in the Meadow: Will the "Real You" Please Stand Up! Will the “Real You” Please Stand Up! If you do not know who you are Christ, you will not be able to “stand up” to your true identity. Because you are in Christ, you cannot let the devil try to tag you with a false identity. You are the Lord’s person and possession. He made you and He owns you. He has ownership of you through creation and redemption. Isn’t good to know that you are doubly His! You are no small thing to Him and your life is no small matter in His loving hands. Satan also has no parental right over you. The devil is not your father and he cannot say, “This is my child and I have every right to my authority over him.” You are now God’s child. You have been adopted into God’s family. He is your Father and you are a joint-heir with Jesus Christ. In Jesus Christ, there are no ties to your past to pull you back; no fears to hold you back; no chains to keep you back. The Son has set you free, you are a new creation, the old has passed away and the new has come. Refuse every lie that places you outside of Christ. Forget the former things, for God has done a new thing in your life. You are not a victim who is held captive by the past, your circumstances, or your upbringing. Don’t live in the past, for you have died to it all and your life is now hid with Christ in God. Don’t every say, “Poor me.” Instead, say, “Rich me!” Jesus became poor so you could become rich. You have been lavished with riches—riches of grace, riches of mercy, riches of kindness, riches of love, riches of salvation, riches of glory for now and forevermore. There is no reason to live a defeated life because Jesus is your life, and He is the victorious warrior. Be free, for Jesus has freed you; live free, for Jesus is your freedom. He is your life, and as He is so are you in this present world. Meeting in the Meadow: "Gordon"